Previn's Walton First Symphony, as recorded by RCA in 1966, occupies a place of honour comparable with Previn's Rachmaninov 2 (EMI) from circa 1972. Brooding, rippling with untamed tension, restive, impatient, sharply rhythmic in ignition and in recoil. Dynamic range is wide; very faithfully put across by the RCA engineers both of the sixties and of the millennium. So wide is the range that the quiet quiets bring out the low and even surface noise. The recording wears its years with a smile but triple forte moments can be harsh sounding. The pulsation and beat of the performance can best be judged from the finale - say from 1.20 onwards. This is a very special performance still extremely competitive and borne out of a blast-furnace of creativity. Much the same epithets and the same sparse demerits can be applied to this Heifetz's second recording of the Violin Concerto. While this one is still in mono it sounds well and benefits from a decade's worth of extra opulence over Heifetz's Cincinnati recording of the same work (now on a superb Naxos CD coupled with the Sargent conducted Elgar concerto). I 'learnt' this concerto from a tape of the present RCA version and so I know every nook and cranny of the recording. Whether the work basks in sunshine (first movement), exults in exuberant life (second movement) or celebrates beauty in crestfallen tragedy (finale) it does so with bursting intensity. Heifetz could easily have fallen victim to the sort of suffocating hamming up that mars his Korngold concerto. Here however greater restraint is shown. Next to this I rate most highly the Ida Haendel/Berglund version on EMI Classics which has the advantage of stereo and twenty years technological progress. I also commend to you the version recorded in the sixties by Zino Francescatti on Sony. The second CD launches with Piatigorsky in the Cello Concerto in its world premiere recording. This shares with the concerto on the first disc the virtues of being played by the dedicatee. The recording was made seven years after the Heifetz and is in early stereo. It sounds rather well for its 45 years. It has been an object lesson to me to hear this work again in the hands of Munch and the Bostonians. The allegro appassionato goes tetchily, slashing and ripping along. Piatigorsky is an emotional advocate for the work and it needs this. He reminded me at times of Janos Starker's character in the solo Cello Sonata by Kodaly (whatever happened to those Saga masters - one for Regis to seek out perhaps?). After three recordings where some analogue hiss is in evidence it is almost a shock to be hearing at track 4 (CD2) the digital richness and background silence of the Viola Concerto from 1994 and of the Conifer version of the Sinfonia Concertante. I knew all the other tracks before this set arrived but the Bashmet/Previn was completely new to me (has it been issued before?). Intriguingly this is Previn with the same orchestra that recorded the Symphony almost thirty years previously. He recaptures some of the snappy abandon of the 1966 Symphony sessions in the vivo con molto preciso. Bashmet plays with considerable feeling. Kathryn Stott's recording was the first of the original version of the Sinfonia Concertante which sports orchestration in which light and air is let into the texture. The three movements reflect the characters of the Sitwells - Osbert, Sacheverell and Edith. Brilliance and romance flood these pages which strut and swoon with echoes of Constant Lambert (Rio Grande - try 00.47 of the allegro molto), Stravinsky (Petrushka), Bax (Winter Legends) de Falla (Noches en las jardines de Espana) and Lord Berners (Caprice Péruvien). It is fashionable to decry this early work but for me it works far better than the Viola Concerto. The swooning and brilliance must have appealed to the soloist in the premiere - the composer, York Bowen. The first movement in primis is a work in which syncopation (try 6.20) and romance achieve a perfect balance. Nostalgic songs half remembered drift like wraiths through the andante. Stott is brilliant though there is a touch of harshness in the rendering of her piano sound. This is a very generous bargain price collection and even if it costs you some duplication is worth your money. Only if you are rootedly averse to non-digital recording should you think about passing this by. 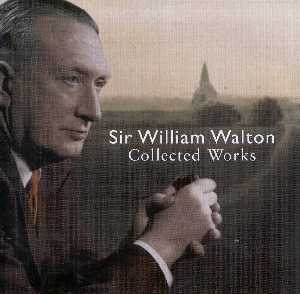 Golden age Walton interpretation with only the Viola Concerto leaving me unengaged.